The fourth most prolific rebounder in Bradley basketball history, Barney Cable, a six-foot-seven Pennsylvanian, was only the third BU player to be plucked in the NBA draft since the school went big time in 1938. Ending his college career in 1958, Cable was taken in the second round of the NBA draft by the Detroit Pistons and 11th overall. Of the 15 other ex-Braves plucked by pro-basketball, only the drafting of Hersey Hawkins in the sixth by the Los Angeles Clippers in 1988 was higher. 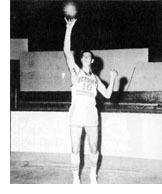 During his Bradley career, Cable scored 1,057 points and ranks fourth on the all-time rebounding list with 907 in 66 games. His rebounding average of 13.7 has never been surpassed. 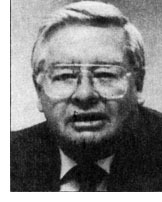 In 1957, Cable was named to the All-NIT team. The same year he made the All-Missouri Valley Conference Team. During a six-season NBA career Cable played for Detroit, Syracuse, Chicago, St. Louis and Baltimore. In all, he appeared in 362 NBA games, scoring 2,371 points with 1,888 rebounds. His best seasons were with Syracuse in 1960-61 when he produced 605 points and 469 rebounds in 75 games and with Chicago and St. Louis the following year when he had 728 points and 563 rebounds in 67 games. After leaving the NBA in 1965 he was player coach from 1965 through 1969 in the Eastern Pro League, winning two league championships and being named Coach of the Year in 1967.